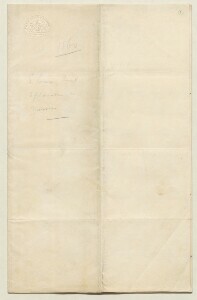 On the tenth of September 1860, Lewis Pelly was instructed by the Foreign Secretary of the Home Government to return to India from Tehran overland through Persia and Afghanistan via Mashad, Herat and Kabul. Although Pelly would have had to traverse central Iran in any case to return to India overland, his route through Afghanistan was something of a detour. Why was it so important that Pelly travel this route? Afghanistan was of strategic importance to the British Government owing to its border with the northwestern borders of the British Raj (now Pakistan). The perceived instability and unrest within the country of previous years was of serious concern to the Government in its attempts to secure and protect the Empire’s borders. The purpose of the trip was for Pelly to present gifts, correspondence and ‘friendly assurances’ to the rulers of Herat and Kabul. He was also to attempt to gather reliable information on the Persian expedition at Merv (here rendered as ‘Mero’ or ‘Marv’), the state of the Persian Army and the condition and prospects in Afghanistan as he passed through it. Pelly was also perfectly suited to the task. For Pelly the journey was particularly important as he had been part of the Expeditionary Force that had occupied Bushire, in response to the Persian occupation of Herat, during the Anglo-Persian War (1856–57). As chargé d’affaires at the Court of Persia (1860–61) he had also experienced first hand the effects of that war on British relations with Persia and Afghanistan. The British had not sent a representative through Afghanistan on official business since 1857, because a series of murders or forced ejections of agents had apparently taken place in the years previous. 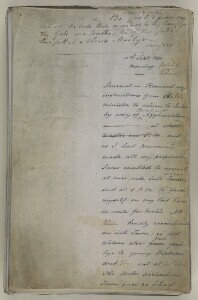 This made the information Pelly could acquire and the reports he would submit vital in assisting the British Government to determine whether it would be feasible to attempt to resume friendly relations with the various rulers in Afghanistan and to what extent such relations would be welcomed, or not, throughout the area. Lewis Pelly believed in documenting everything in great detail. 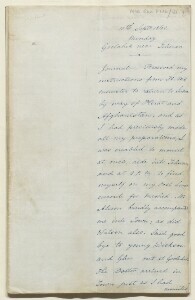 From the moment of his departure from Tehran on 10 September until the end of his stay in Kandahar on 16 November, Pelly recorded all he saw, heard and did in a journal, which he subsequently used to produce official reports for the Government as well as journal articles such as those for the Royal Asiatic Society. Today, three copies of this journal remain: the original, which was written by Pelly en route, and two ‘fair copies’. 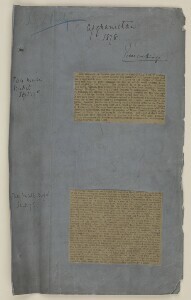 The first of these was an annotated and corrected draft; the second and final copy would have been submitted to the British Government. According to the journals, Pelly was welcomed by local rulers and often discussed politics and history with them. Pelly also wrote more formal official reports on his meetings with the rulers of Herat and Kandahar. Pelly was also able to ascertain information regarding the Persian Army and their encounter with the ‘Turcomans’ at Merv. When the Turcomans of Peydah were victorious in a battle with Persian forces, Prince Hamzeh Mirza “Heshmat ed-Dowleh”, who had led the Persians, fled to Herat with his surviving men. Pelly aimed to assist the Prince and also discover the fate of a French photographer who had accompanied the Persian forces in order to photograph the army. As it transpired, he had been killed during the battle. Undertaking this journey helped to advance Pelly’s career, and in the following two years he was appointed to Zanzibar, from where he was asked to go on official visits to the Comores Island and the Seychelles, and in 1862, to his appointment as Political Resident A senior ranking political representative (equivalent to a Consul General) from the diplomatic corps of the Government of India or one of its subordinate provincial governments, in charge of a Political Residency. in the Persian Gulf Historically used by the British to refer to the sea area between the Arabian Peninsula and Iran. Often referred to as The Gulf or the Arabian Gulf. . Despite Pelly’s best efforts, little appeared to be gained from the journey and relations with Aghanistan continued to be strained. Pelly returned to Afghanistan in 1878 as part of an unsuccessful diplomatic mission that resulted in the Second Anglo-Afghan War (1878–80). A third Anglo-Afghan War was to follow in 1919 and, most recently, British military forces returned to Afghanistan in 2001. Final fair copy of a journal of Lewis Pelly's official journey overland from Persia to India through Afghanistan including Mashhad, Herat and Kabul. 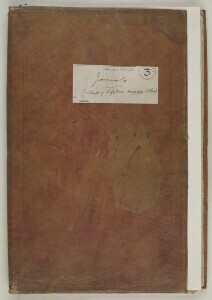 Draft fair copy of a journal of Lewis Pelly's official journey overland from Persia to India through Afghanistan including Mashhad, Herat and Kabul.